Erin Huffstetler is the former frugal living expert for The Balance Everyday, where she covered best tips for saving money and getting out of debt. Getting a warning that your printer is out of ink? Go ahead and ignore it. In a lab test, PC World found that ink cartridges still contained anywhere from 8 to 45 percent of their ink when this message started to pop up. Thick fonts and bolded text require extra ink to print, so skinny up your text and save. Some ink-sipping fonts to try: Arial and new courier. Want to save even more? Download Ecofont, a free font that uses 20 percent less ink by placing small white circles within each character. What's the difference between a 12-point font and a 14-point font? Size, certainly, but also the amount of ink used--so super-size only when you need to. Give your documents an extra read through before you print them out, and you might save yourself a reprint. 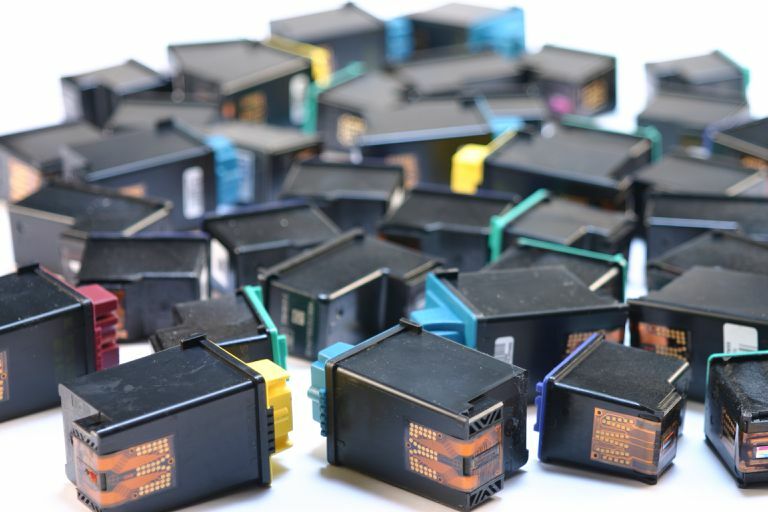 Printers are factory set to be ink guzzlers, but that's easy enough to change. To update your printer's default settings on a Windows-based computer, click start > printers > right click on your printer and select printer preferences. Set the print quality to "draft"
Set the color to "print in grayscale"
If you need to print an article or recipe off of a website, but you're not interested in printing all of the ads and photos that go with it, just go to printwhatyoulike.com insert the URL for the page; and you can delete all those ink-hogging extras with just a few clicks. Have you ever printed something from the web only to find that it didn't fit the page? What a waste of ink, paper, and time. Fortunately, this is one problem that can be avoided: Just hit "print preview" before you send anything to print, and you'll be able to catch and correct any issues before they make it onto paper. Has your cartridge stopped printing properly? Before you toss it, make sure a clogged nozzle isn't the culprit. To do so, simply remove the cartridge from the printer and wipe the bottom with a damp paper towel. Then reinstall it and try printing again. Would a digital record work just as well as a printed one? If so, save the file to your hard drive or flash drive and forgo the printing process entirely. What is an Inkjet Printer?